20 years on from the Mount Everest tragedy in Nepal. I was awake early this morning in Tengbouche 3,900m/ 12,795 feet high in the Everest region. It is May 10th 2016. 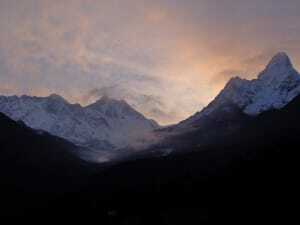 As the sun rises over Mount Everest. I started to think back on the Everest tragedy on May 10th 1996. Today is May 10th 2016. 20 years to the day after 11 people lost their lives in a culmination of errors, miss communication, Hypoxia in a race to stand on the world’s highest peak. The recent Everest movie was based off that days events. 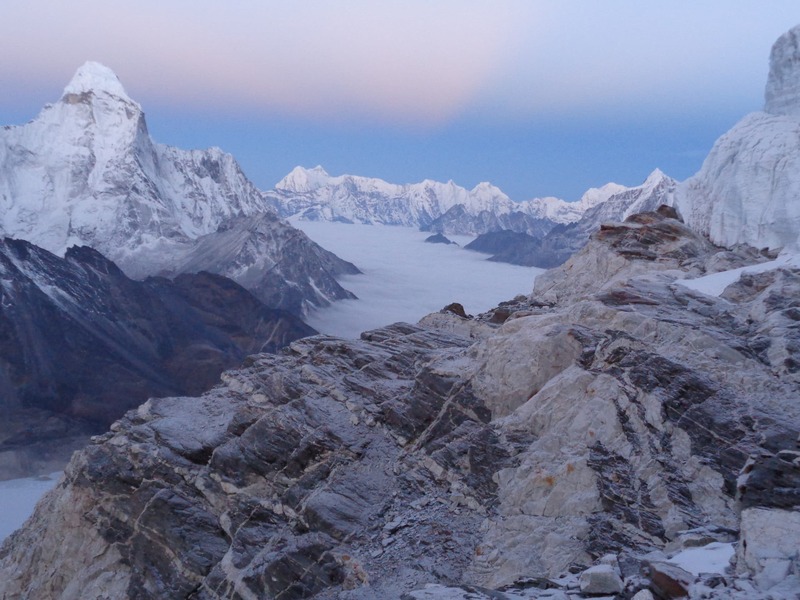 20 years on from the Everest tragedy, there was no storm building but winds were still high. After two challenging years on Mount Everest and challenging times for Nepal. I am not sure Nepal has learned that much from the tragedy 20 years ago or from recent events. Talk of restricting numbers and climbers needing a proficient climbing CV seem to be put on hold. READ MORE. On the trail I still see 50% of trekkers under prepared with limited experience and with shocking safety and the wrong gear from the trek. 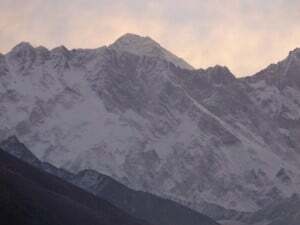 I hope for Everest’s sake, the people, the trail, the history that Nepal implement serious regulations on acclimatization, safety on the trail, managing the trail, sanitation and many of the other needs required to maintain the region, mountain and longevity of this world class and famous journey to Everest. Everest is an icon, a magical symbol of what can be achieved. Everest deserves respect, the people, region and mountain deserve far more respect than we are seeing displayed by groups in the mountain region. Read some reviews from our treks. I hope in 20 years from now I will talk through this region and see real change in this special place. I will have to wait and see. 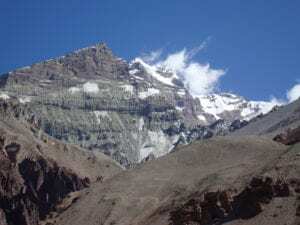 I am just back from leading my 17th trek to Everest base camp and climbing Island peak for the 8th time and lack of respect for altitude and people rushing up the trail in poor and dangerous gear annoys we every time. You need to prepare and training weekly. Don’t cut corners. Understand altitude and how to acclimatize respect this wondrous mountain environment, which used to be at the bottom of the sea. If you would like further information about our treks and trips into the Himalaya’s get in touch.